PuzzleForge is the puzzle imprint of Ravensforge Books and we are proud of our growing catalogue of puzzle and adult activity books. We adore puzzles and know there are millions of others out there just like us, which is why we are dedicated to bringing you only the best puzzle books, carefully designed to relax, challenge, and entertain. Please browse our catalogue below to find something to suit your tastes. We are adding to our range all the time, so check back often or sign up for our PuzzleBlast for updates and news on new releases. Feed your imagination. Train your mind. Challenge yourself every day. Love puzzles? Then sign up for our Puzzle Blast! 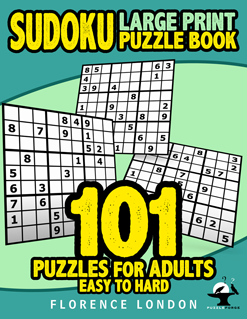 The perfect large print puzzle book for Sudoku lovers! 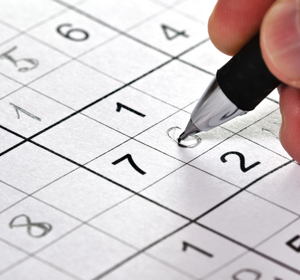 Dive into our book of 101 classic Sudoku puzzles and give your brain a workout. Inside, you’ll find a great range of large print puzzles to suit all levels, featuring: 33 Easy, 34 Medium, and 34 Hard grids. 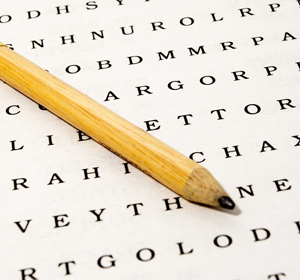 A great way to challenge yourself and satisy those ‘just one more puzzle’ cravings! 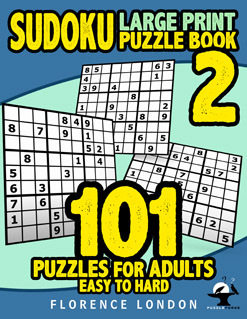 The Bumper Sudoku Puzzle Book For Adults is the perfect book for Sudoku lovers. Whether you are a mind puzzle veteran or you just like to dabble with a handful of easy puzzles from time to time, then this is the book for you! 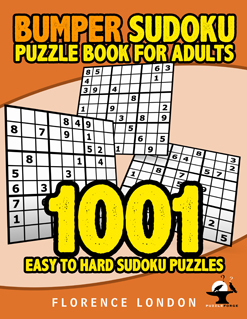 This whopping adult puzzle book features 1001 easy, medium, and hard puzzles to keep you going for a very long time and represents fantastic value for money. Wide inner margins so that you can cut out the puzzles and go (perfect for when you’re travelling to work/college)! Copyright © Lorna Reid and Ravensforge Books 2015 - present. All rights reserved. The right of Lorna Reid to be identified as the owner and author of this site - RavensforgeBooks.com - has been asserted in accordance with the Copyright, Designs, and Patents Act 1988. No part of this site or contents may be altered, reproduced, uploaded, sold, eaten, transmitted, or beamed into space without prior written permission. Many of the external links that we use on this site are affiliate links. We only link to our own products, or those products and services that we have used/plan on using. It will not affect your browsing/shopping experience(s).